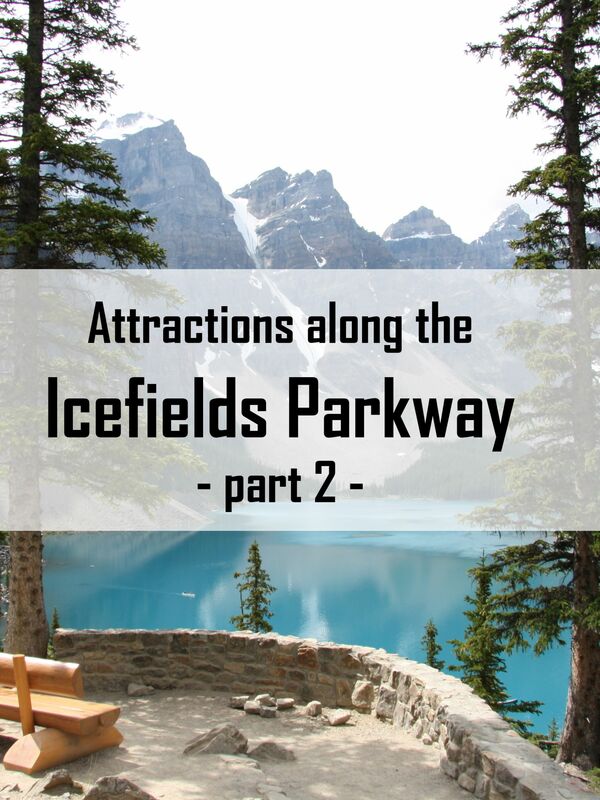 We made an early start on the second day of our road trip along the Icefields Parkway. 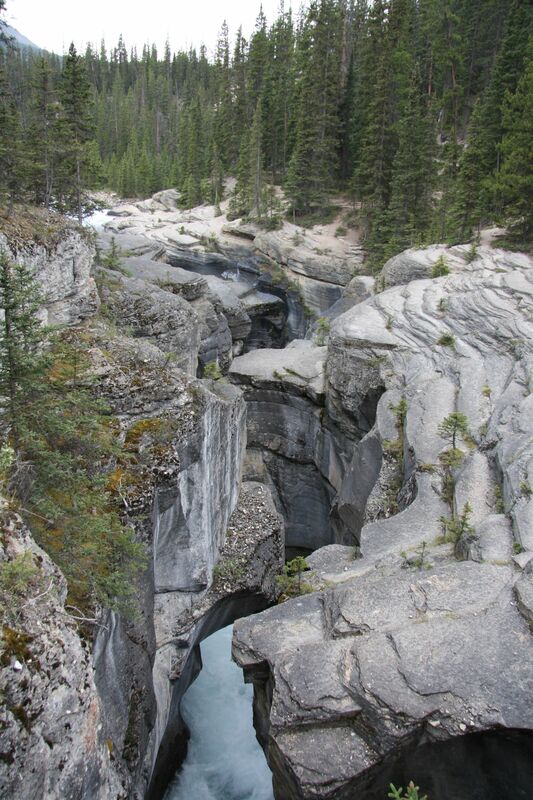 We aimed to reach Lake Louise at the end of the day, about 125 kilometers from the Athabasca Glacier. But instead of driving straight to Lake Louise, we would make plenty of stops along the road. 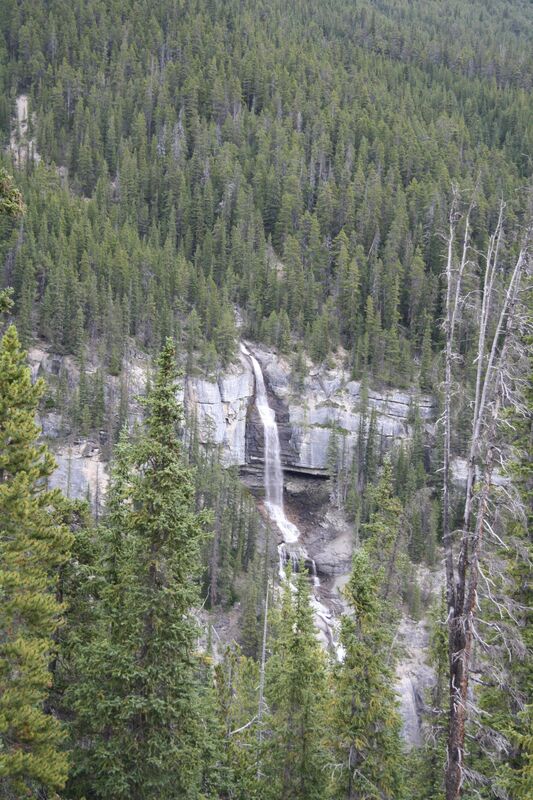 We drove past Bridal Veil Falls (with a total height of 370 meter). 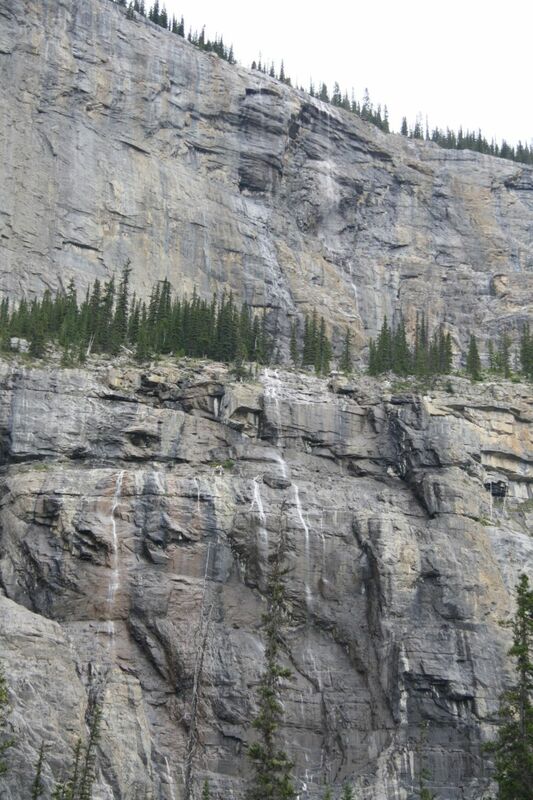 The Big Bend (a looooong turn), the Wheeping Wall (with various small sized waterfalls). 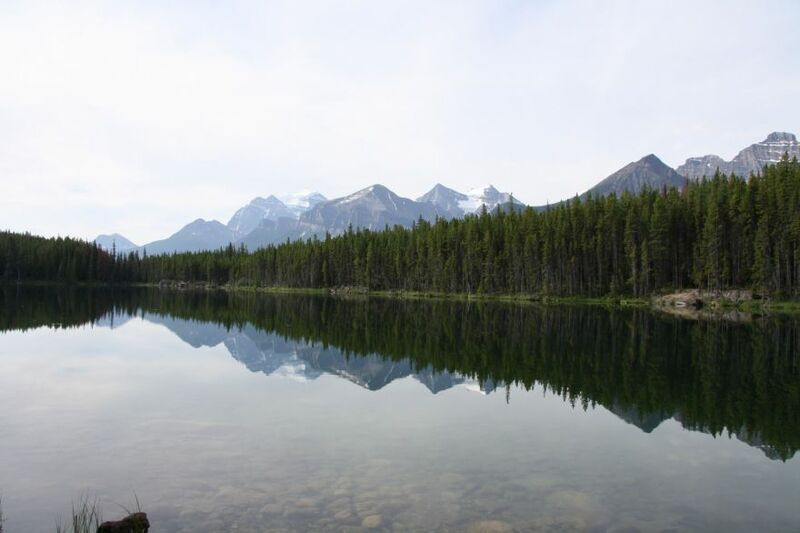 We passed Waterfowl Lake (with beautiful reflections of the nearby mountains). 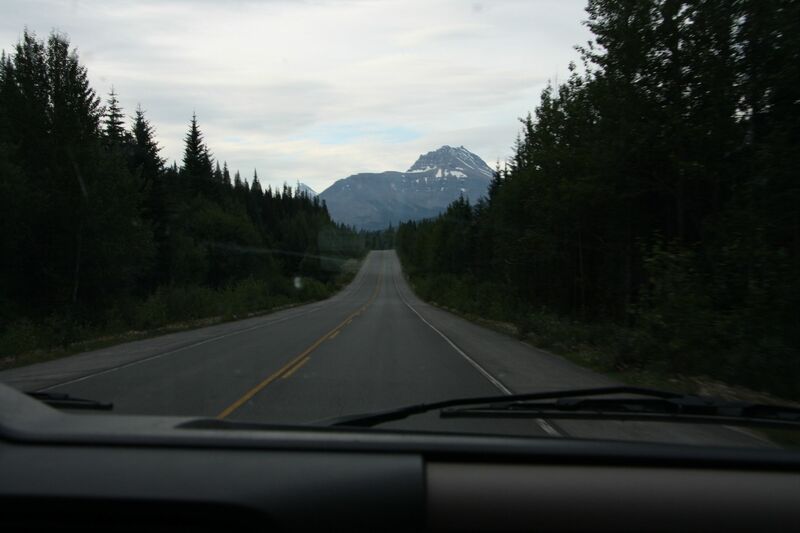 Amazing to drive in such a scenery. Our first real stop-of-the-day was at Mistaya Canyon. As we arrived there early, there were only a handful of people there. Superb! Next stop was Peyto Lake. Finally, something different than all those waterfalls ;) From the first viewpoint, we had a clear view on the crystal blue lake. Beautiful to see. Although we could sit and watch the lake for hours, we made a short hike to Bow Summit. It was nice and quiet there and the view, even better! A shame we had to leave again. After Peyto Lake, we drove to Bow Lake, just a few miles south of Peyto Lake. 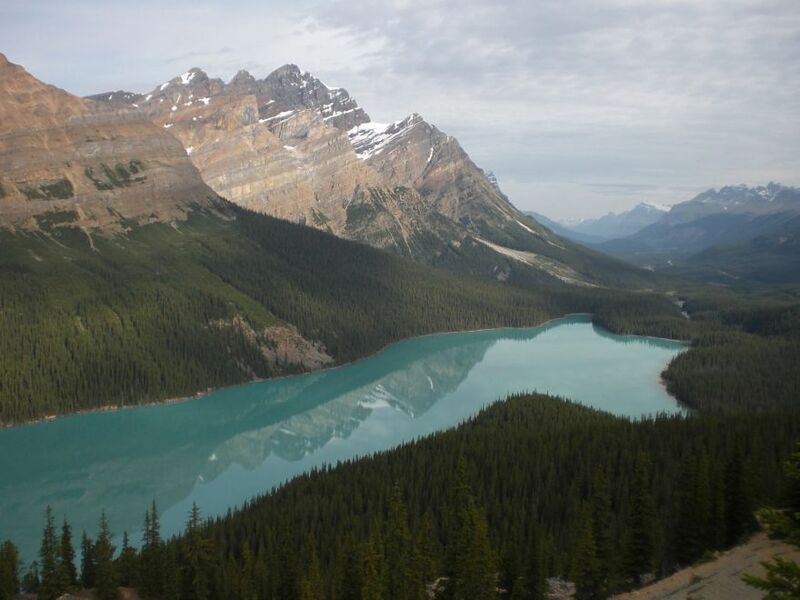 The reflections were breath taking, but the lake itself was not comparable to the beauty of Peyto Lake. 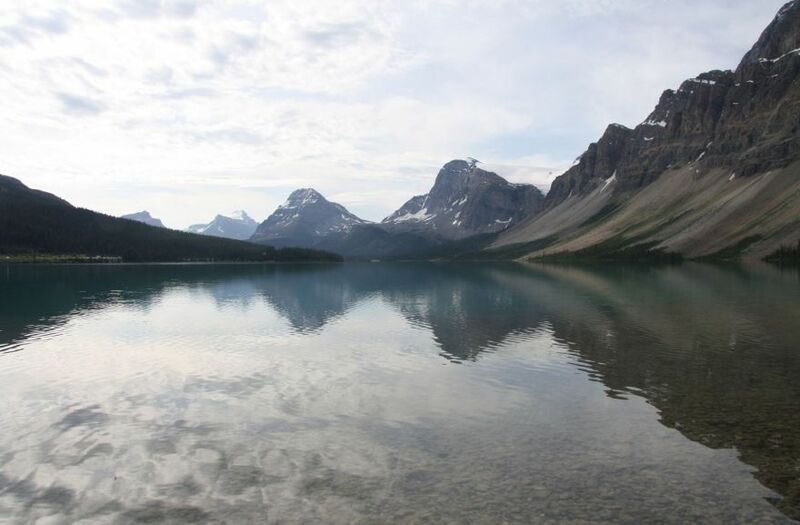 A little further down the road, another lake was waiting: Herbert Lake. Again, beautiful reflection, but not as pretty as Peyto Lake. Before we realized, we drove into the town center of Lake Louise. First, we went to the campsite to find ourselves a place for the night. When that was sorted out, we drove to Moraine Lake. But as soon as we arrived, we realized we could better have gone somewhere else: the road was crowded with parked cars and RV&apos;s. As there was no parking available, we also parked our RV at the side of the road and walked to the lake. 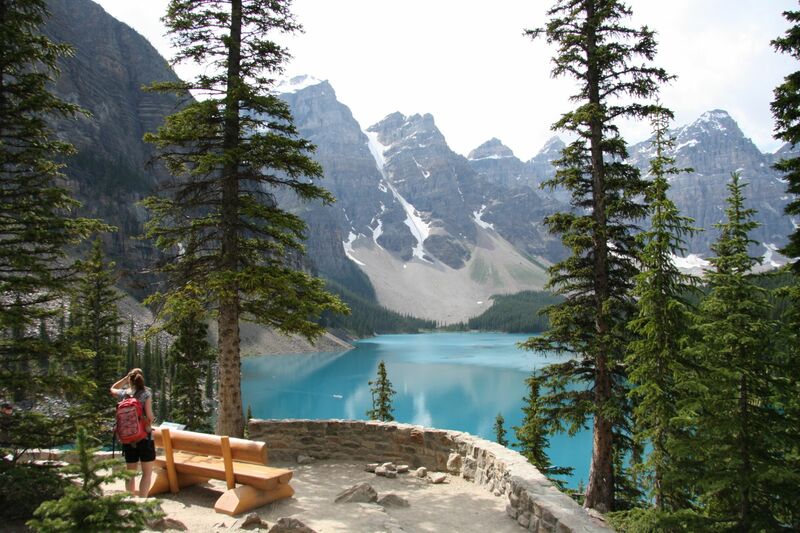 Where Peyto Lake was beautiful, Moraine Lake is even better: wow! A lake with such a blue color, with the ten mountain peaks of 3.000 meter high surrounding the lake, we hadn&apos;t seen that before. Amazing! 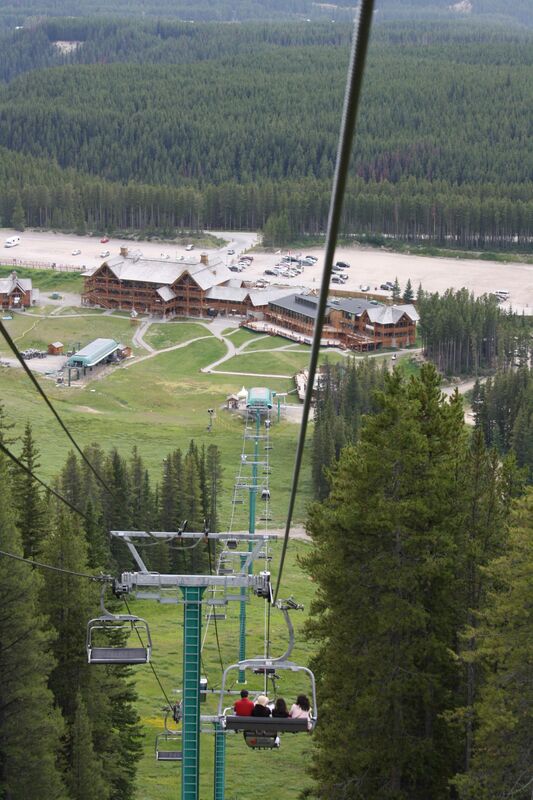 After taking the required photographs, we returned to our RV and drove to Lake Louise Ski Resort, where we took the cable car to the top of the mountain (lazy as we were...). 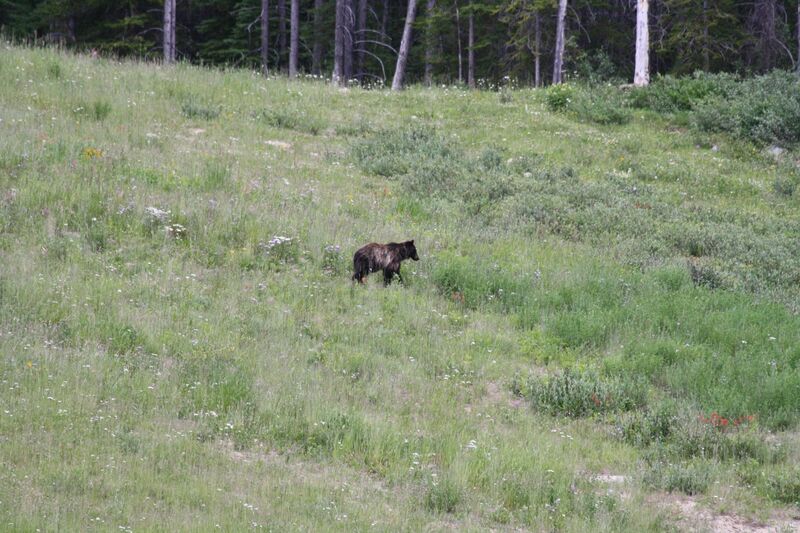 The view was kind of disappointing, but the cable car ride was cool: a huge grizzly bear walked right below us.